The client is the largest multi-disciplinary third-party claims administrator in Australia and among the top in United States, Canada, the United Kingdom and New Zealand. Managing claims on behalf of insurers, brokers, government bodies and self-insured organizations, the client introduced Third-party Claims Administrator (TPA) model to the insurance industry. The client set a benchmark for quality, customer service and TPA systems across all insurance sectors. As a pioneer in this fast-growing sector, the client continues to rule with over 900 claims management experts based across Melbourne, Brisbane, Adelaide, Sydney and New Zealand. The client combines global reach and local market expertise to quickly and accurately assess any situation and provide an optimal solution. Our well-experienced team carried out an in-depth research across various industry and gathered key information. We compiled the collected data in a format usable by the client. The client was highly impressed with the smart report our team furnished within a week's time. Outsource2india, an ISO-certified firm with its 20 years of experience in business research services helps you efficaciously complete a set of business-related activities with our data-driven company profiling and industry reports. 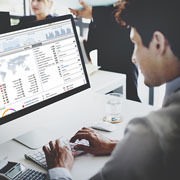 Whether you want to gather information for strategic meetings, evaluate business opportunities, work out marketing campaigns, or to prepare financial forecasts, researching on merger & acquisitions, tracking current trends, or preparing sales targets, our proficient research analysts can help with suitable research options. A cost-effective industry report from Outsource2india gives you an edge over your competitors and helps you make better and informed decisions. Contact us today to understand how our team of business research experts can help your business.